Delivered in 2017 by Ocean Alexander, with exterior and interior design by Evan K. Marshall, The Rock is in as new condition and ready to welcome her lucky charter guests on board. From the moment guests step on board they will be wowed by The Rock’s luxurious and spacious design. 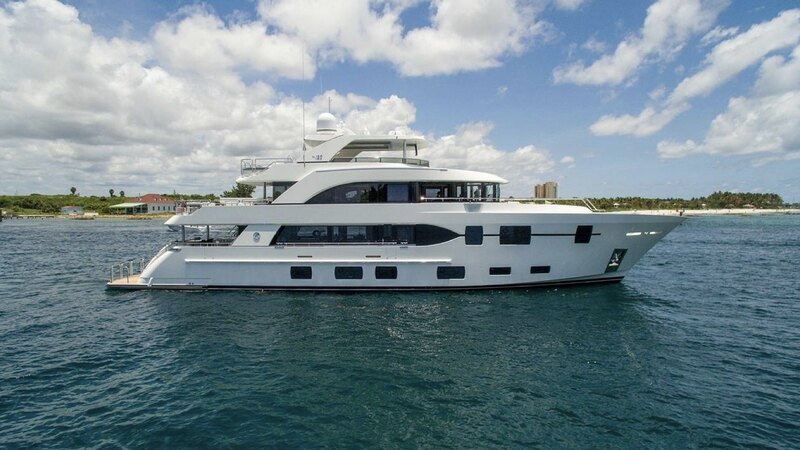 Her main aft main deck is ideal for socialising and entertaining, with a table, seating and bar. The aft deck leads straight into the main saloon, with its many amenities including leather sofas and huge windows that bring the outside in. Guests can take advantage of the separate formal dining space and be delighted by the yacht’s private chef who is able to create a custom menu for every occasion, from an informal breakfast to a full birthday degustation celebration.